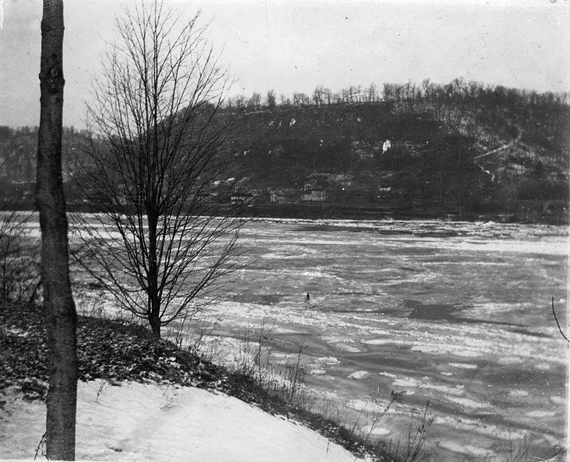 Frequently in the 1800's and early 1900's the Ohio River would freeze over. We can't tell from the picture if this boat is still moving, docked or beached. 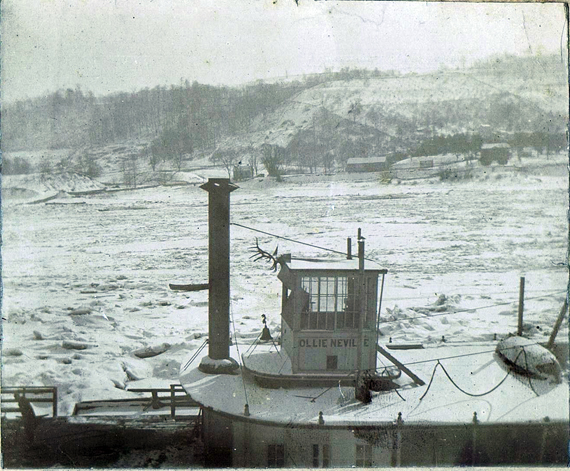 At times the ice on the River could break open hulls of river boats causing sinking or forcing them to beach the boat. 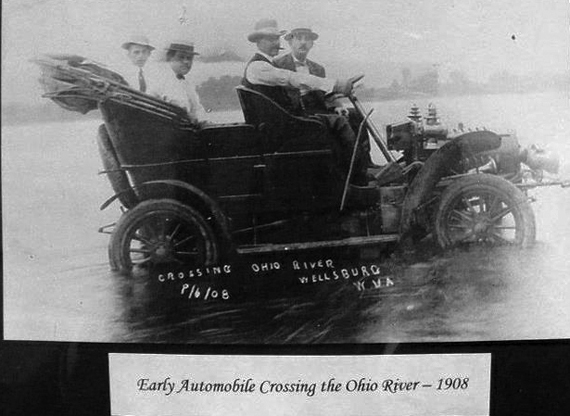 Unconvential ways of crossing the river. 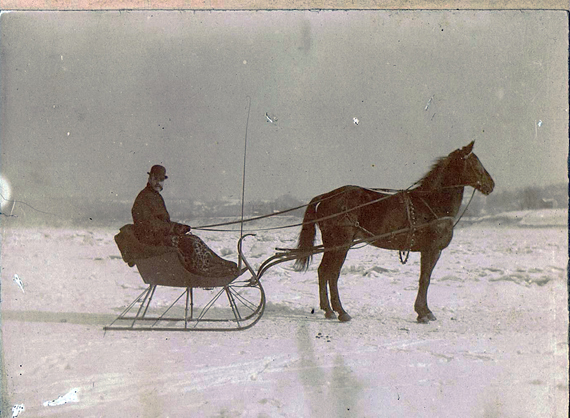 A nice sleigh ride on the Ohio. You have to look close but you can see Collins Kinzey riding his bicycle across the river. It looks like there are places that may not be frozen. A patch here and patch there. We guess he had to pick his way carefully. Picture courtesy of Jim Paulaskas of Chester, WV. There are stories that have been passed along about being able to walk across the river at times in the past or horse and wagons going across the near dry river bed. This much is true for sure. 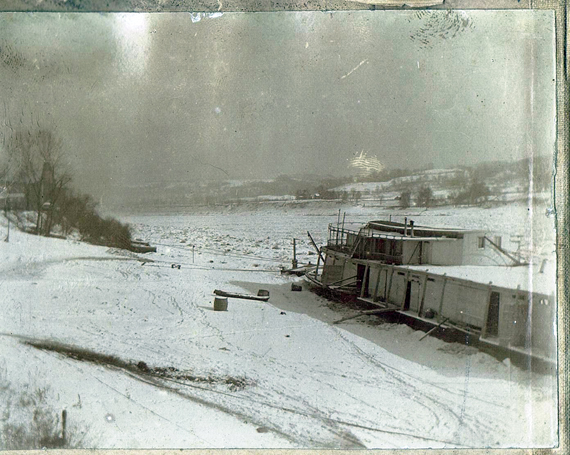 There were times you could walk to Babbs Island. 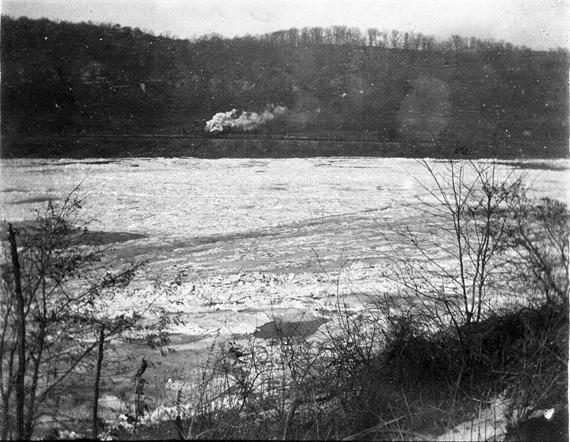 Picture of a car crossing the Ohio River in 1908... Wellsburg, WV, just south of Steubenville, OH. Picture courtesy of Sondra Booth Graham. 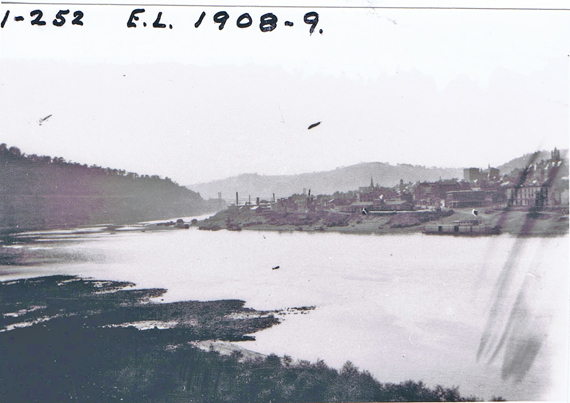 She took this picture of the original picture hanging on the wall in the hallway at Staffileno's On The River in Wellsburg, W Va.
Ohio River showing the Lowest State of Water ever recorded - October 1908. Posted by Marc McCune on facebook site "You know you are from Wellsville, Ohio, if:. No other source information was given. 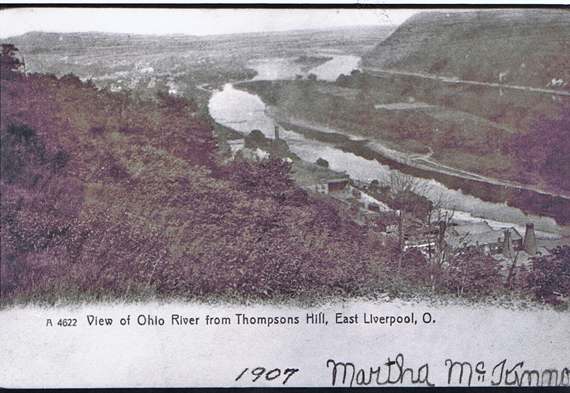 Looks like 1907 was a bad river year. 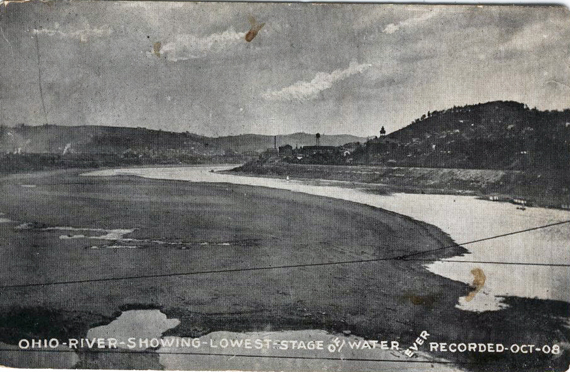 Low river water levels probably at some point in the summer and March 15, 1907 saw one of the worse floods in Ohio River History, at least from 1810 to 1937. Demise of the General Wood.